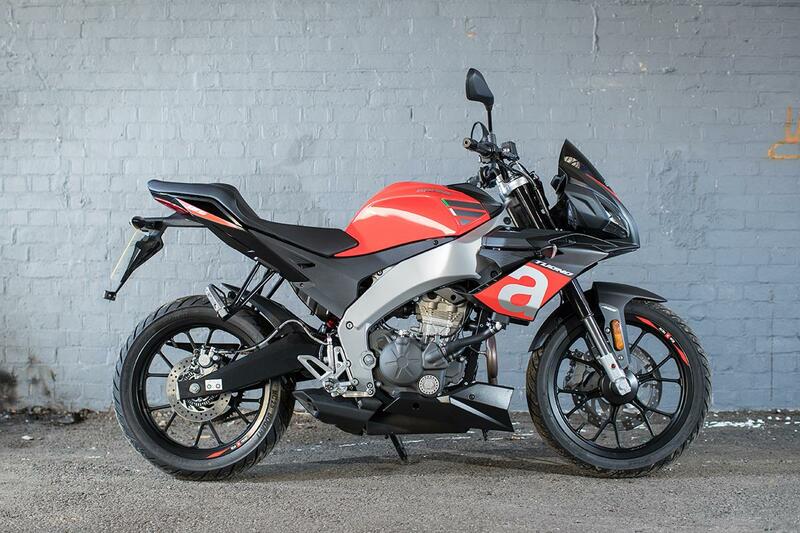 Aprilia's latest RS125, now to Euro 4 standards, with fuel injection, Bosch ABS and a sprinkling of other upgrades, has been joined by a street fighter, mechanically identical but inspired by the 1100cc Tuono V4. 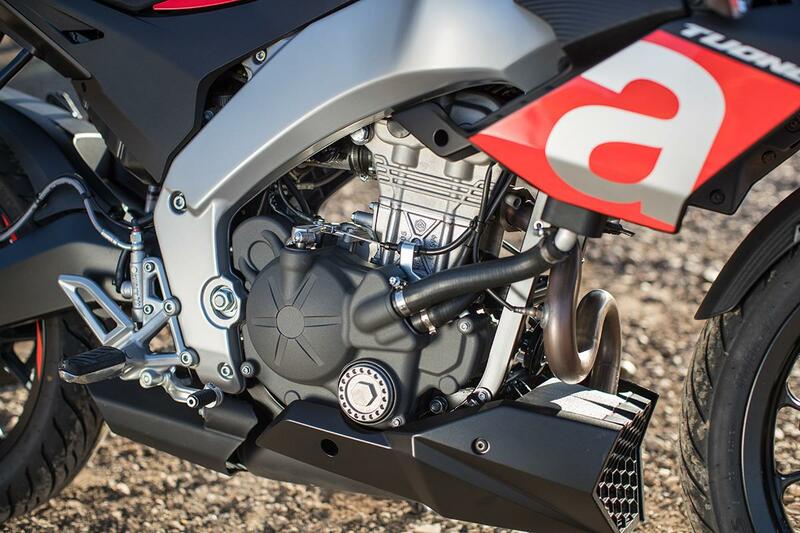 Aprilia have tried hard to make the baby Tuono look just like its big brother, and they've succeeded – from the frame-mounted half fairing to the bold graphics, it talks the talk of a much bigger bike. Underneath it all, shared with the RS125, is the DOHC four-valve 125cc motor producing 15bhp at 10,750rpm, making this one of the top-level 125s which can be ridden on an A1 licence. 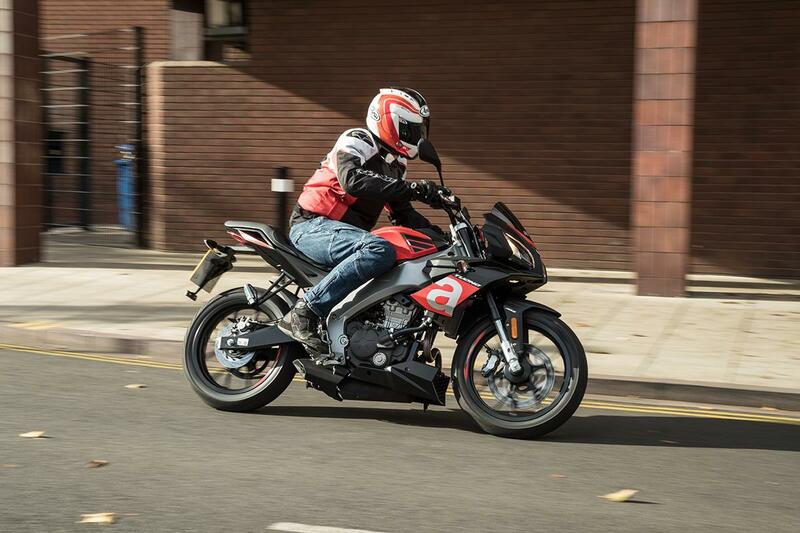 The aluminium beam frame (the only naked 125 so equipped) underlines the family resemblance to bigger Aprilias. The Bosch anti-lock system is single-channel, working on the front wheel only, while quick-shift is available on the six speed box – the Tuono and RS are the only 125s with this option. 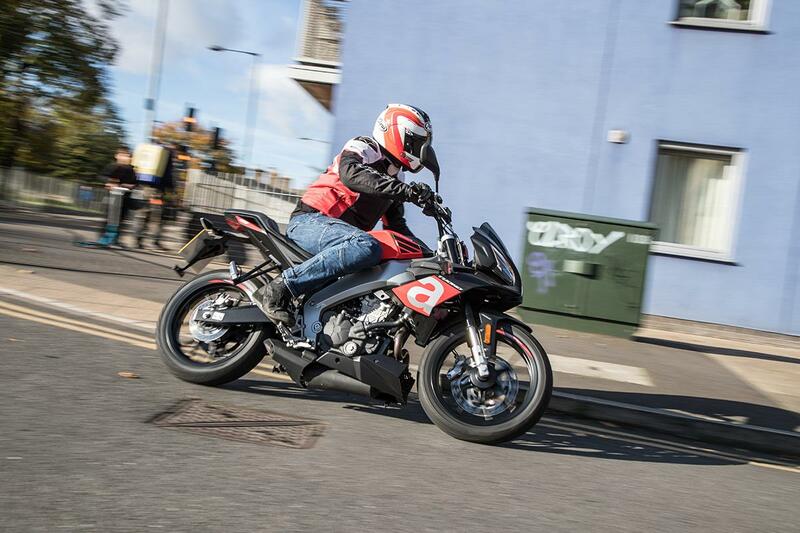 Aprilia likes to stress the 'sport DNA' of its 125s (with the #bearacer sticker on the steering head) and underlined the point by launching the Tuono and RS125s at a circuit instead of on the road – fortunately, with 15bhp in mind, this majored on corners rather than outright speed. 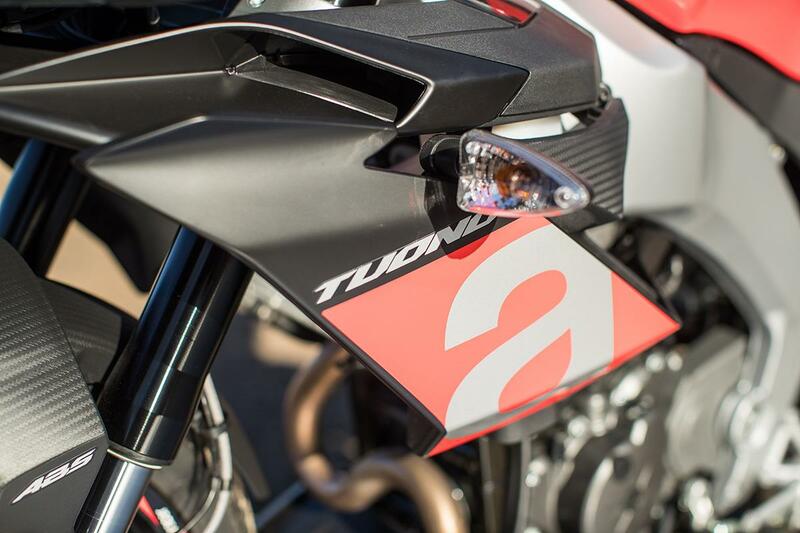 Climb on board the Tuono and the differences from the RS are immediately obvious. It's got wider, higher bars, a slightly lower seat with more space for riding two-up, and the rider footrests with rubber inserts are mounted lower and further forwards. Apart from that, it's all identical to its sports bike cousin. It certainly looks the part too, though the 125cc motor (actually made in China, though the complete bike is assembled in Italy) gives the game away with a polite put-put idle that won't impress many 18-year-olds. Underway it's a different story. 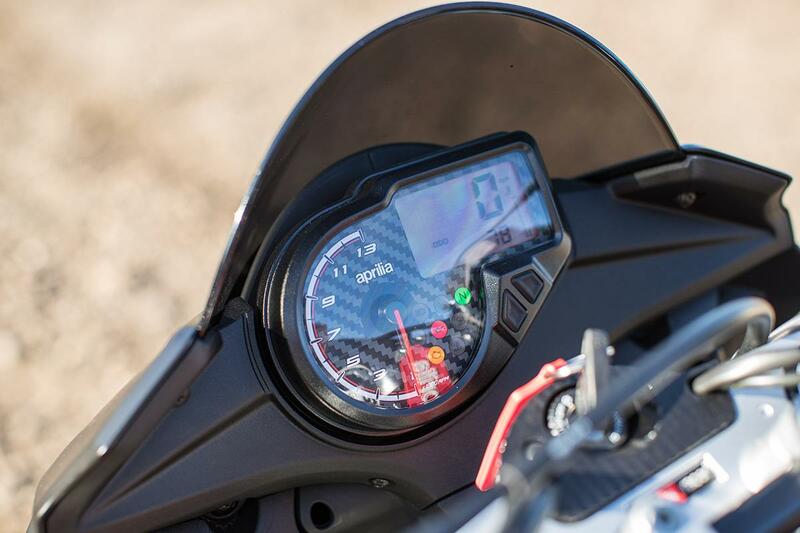 This being a high-revving 125, there is very little torque below 5000rpm, but keep it at 7-8000rpm and above and the lightweight Tuono goes well, revving happily around the analogue rev counter to an ignition cut-out at 11,000rpm. On the track's short straight, it zipped up to an indicated 110km/h (68mph) with the rider crouching and a bit more to come. The higher bars and more upright position give the Tuono less sharp steering than the RS, and the Mitas tyres felt at the edge of their grip a couple of times, but it still handles well. The USD forks and rear shock are non-adjustable (quite an omission on such an overtly sporty 125) but supple enough, if a bit soft. 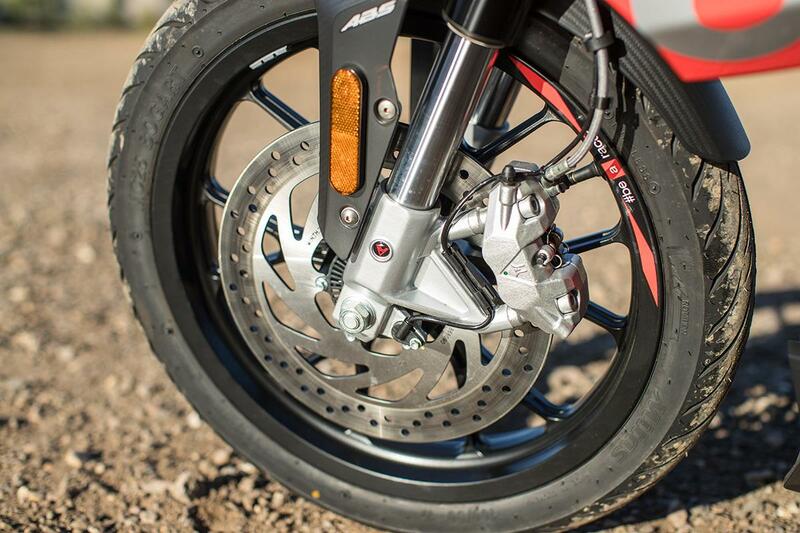 The Bosch front disc is very powerful, especially for a bike this light, and the lack of rear ABS shouldn't be a problem – what might upset some is that the system intervenes if it detects any signs of a stoppie! 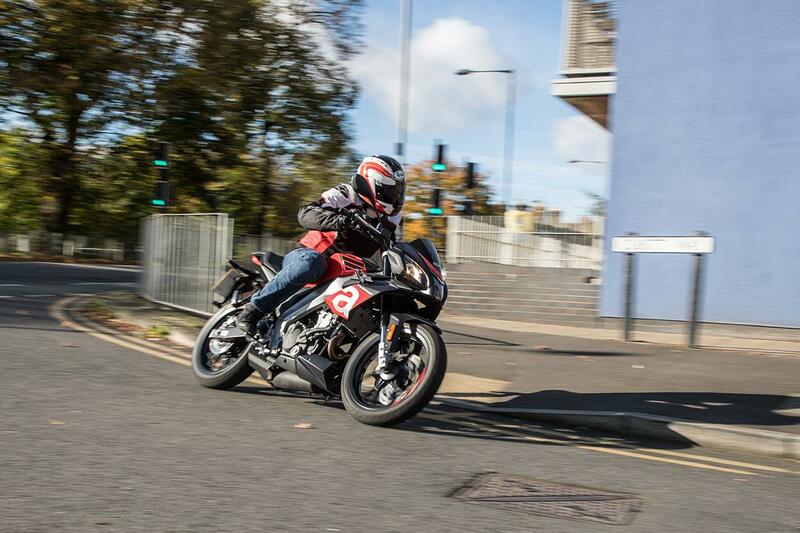 A couple of us sneaked away from the track for a quick road test, and the mini-Tuono proved comfy and easy to ride through town, and fun on the twistier roads out of it. 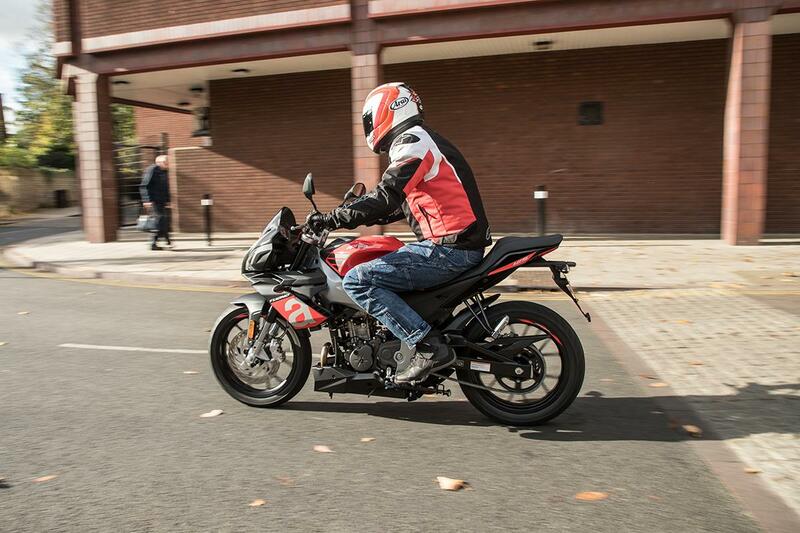 At £4599, it costs a few hundred quid more than a Yamaha MT-125 or KTM Duke 125, but that association with the full-size Tuono could tip the scales for some.